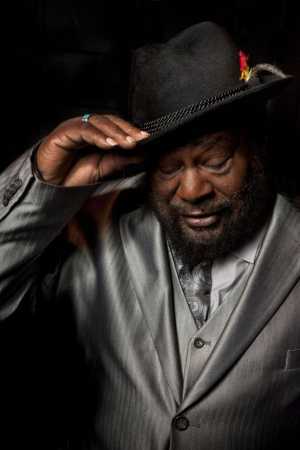 George Clinton’s longtime funky UFO stage prop may have found safe harbor, but he’s still on a mission. For years, during the 1970s and 1980s, Clinton, the out-of-this-world mastermind behind Parliament-Funkadelic, featured flamboyant romps powered by a 1,200-pound alien spacecraft capable of soaring over mind-blown crowds at stadium shows. Eventually the prop was left at home for tours, but in 2011 the relic of a bygone era of arena theatrics, the Mothership, became part of the Smithsonian's National Museum of African-American History. Prior to his appearance with his band at the Orpheum Theater in Flagstaff, Clinton, now 73, was asked about the expense and maintenance of the prop now considered to be an official part of African-American cultural heritage. For the past few years he’s been trying to correct his legacy, fighting to do that the only way he knows how, with constant touring, recording and since last year, book publishing. His considerable impact on all of pop music since the 1970s, the hard breaks of the funk—a word now synonymous with Clinton—inspired a generation of rap, hip-hop and rhythm and blues artists. But the way his sound was incorporated by such performers as Snoop Dog and Dr. Dre, sampled more often than perhaps any other artist of his generation, has led Clinton to pursue an accounting on his legacy. In the past year he has released a new album, First Ya Gotta Shake the Gate (2014), and a biography, Brothas Be, Yo Like George, Ain’t That Funkin’ Kinda Hard on You?, about his struggle to retain his publishing rights. He’s approaching the struggle without lawyers, he says, who he doesn’t trust, but through this outburst of creativity, which is more of a mission statement. Hence this struggle is the latest component of “the funk.” If, when Clinton speaks the term, it becomes synonymous with himself, who can blame him? Along with James Brown and Sly and the Family Stone, Clinton courageously and outrageously carved a new direction for the word “funk.” He says the first time he heard the word was on jazz and blues records he’d listened to as a youth. The North Carolina native, who worked at Motown in the late 1960s, had listened to Miles Davis and Jimi Hendrix and decided to launch R&B into the stratosphere. Parliament-Funkadelic, the name going through various transformations over the decades, launched dozens of chart-topping songs, including “Flash Light,” “One Nation Under a Groove” and “Atomic Dog.” Their shows were wild jams including increasingly sophisticated characters on stage, with a great deal of experimental sounds and rhythms based on the near Beach Boys-like purity of the funk, the party, the communal call and response, always asking the audience to join in and dance. Clinton decided to include the spaceship after seeing prog-rock shows in the early 1970s. The space aesthetic came to mind, of course, the natural way. “Probably when I saw Pink Floyd,” he says, “plus ‘Tommy’ and Hair, the rock ‘n’ roll show tunes. When you start seeing Pink Floyd, that space theme, we thought, there had to be a rhythm and blues version of that. That’s when the Mothership became. Characters don’t get old, like Mickey Mouse and the dollar bill … Sly and the Family Stone came out doing a pop version of what we were doing. We were doing the Jimi Hendrix version. "The connection was always we would define ourselves by what we were doing through the music, free our minds for all of us [participating]. We went to all of the spectrum of the people. We were tripping. That is the pure of it. I became re-inspired to write about all of that."